More and more people are networking and gathering information digitally. This also applies to the employees at Union Investment. do they still meet the ever increasing demands in terms of information, dialogue and participation? How should they be further developed so that they also support corporate objectives in the future? To this end, the Signum consultants evaluated various concepts, including an employee survey. The result? A concept that consistently plays to the respective strengths of the three pillars of internal communication – print, online and personal. The intranet is the ideal channel for employees to network with one another. Regular exchange with their colleagues on this platform allows them to perform their duties more effectively. It also provides management levels with an exclusive platform for management-related topics. The online magazine “Neues Journal” fulfils the growing need for multimedia information channels and also gives employees the opportunity to have their own say. Digital media provide up-to-date and company-related reporting. 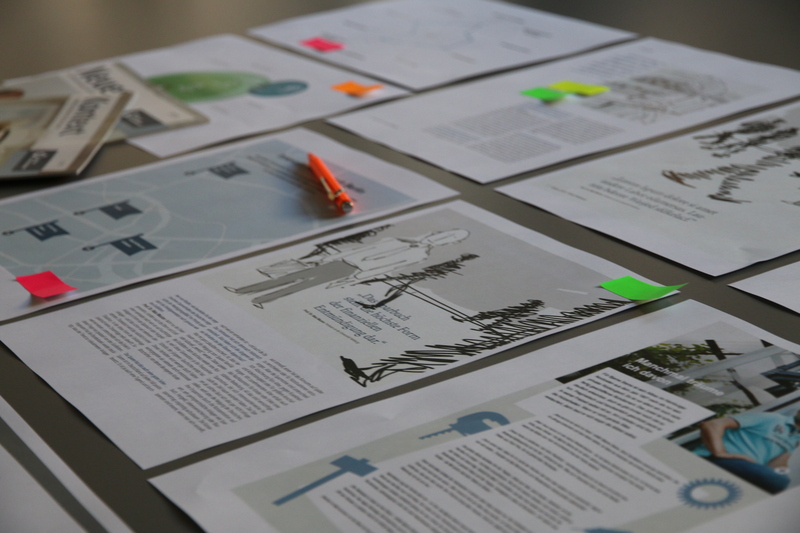 Printed material can then be used to delve deeper into contexts and provide valuable background knowledge. This is precisely the role performed by the magazine “Kontext”, which addresses relevant topics such as change and learning from mistakes from a wide range of perspectives. The magazine “Kontext” is published four times a year and is produced by Signum. Despite the diversity of media, there is still plenty of scope for personal exchange. Highlights here include the annual festival, employee forums at the company locations and various formats for managers.